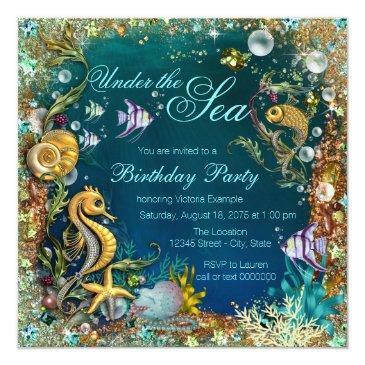 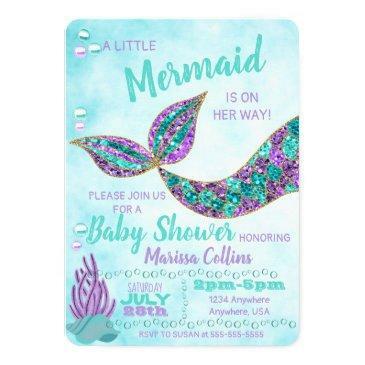 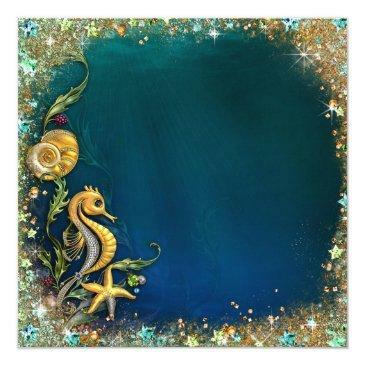 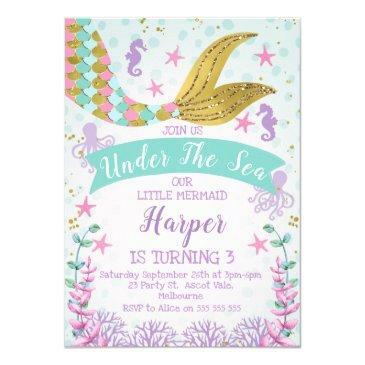 Under the sea birthday party invitation with beautiful gold fish and seahorse, seashells and pearls on a fancy teal blue and gold glitter background. 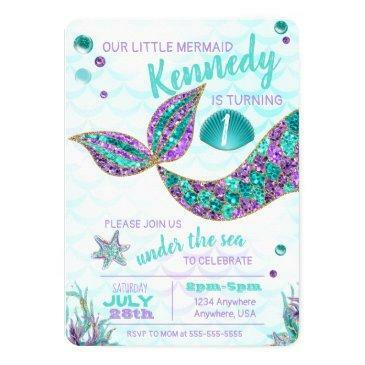 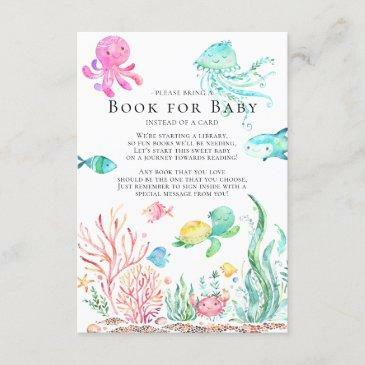 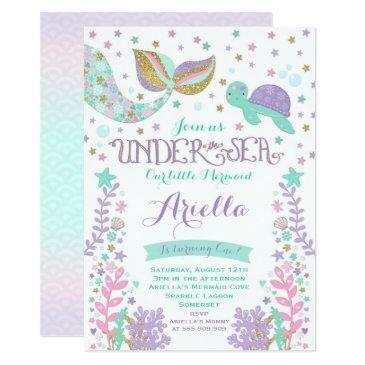 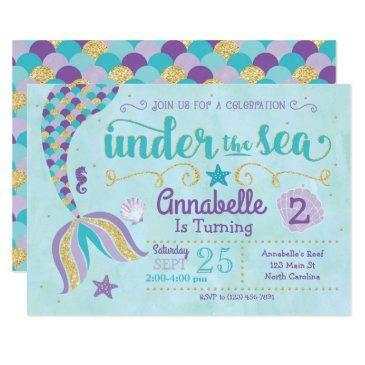 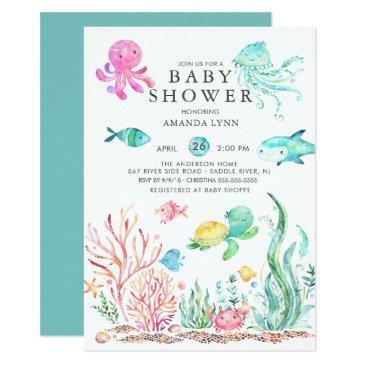 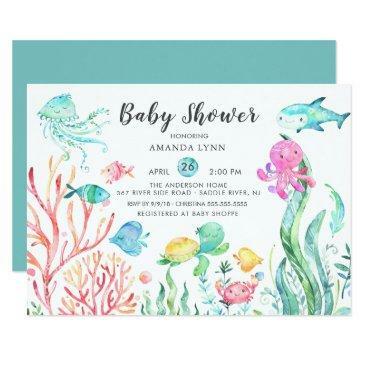 This beautiful under the sea birthday party invitation is easily customized for your event by simply adding your details in the font style and color and wording of your choice. This is a printed design with no real jewels, glitter, etc.